Paul Broca made the most significant discovery in nineteenth-century human biology when he found that speech resides within the left frontal lobe of the human brain. 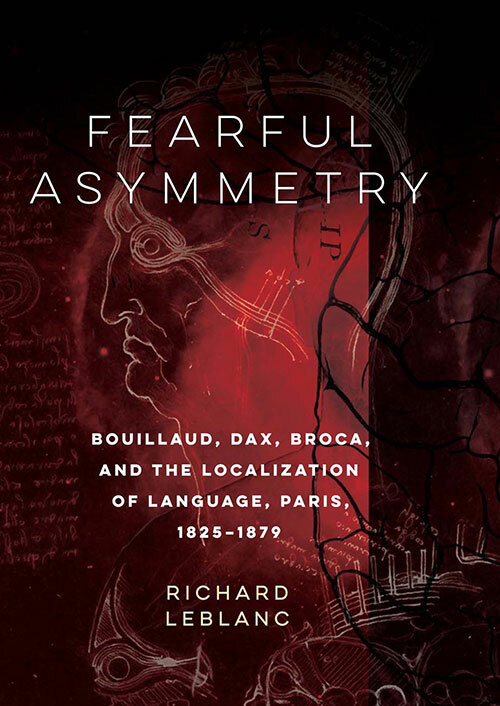 In Fearful Asymmetry, Dr. Richard Leblanc recounts the story of this hard-won scientific discovery based on a new reading and translation of original records by Broca, Jean-Baptiste Bouillaud, and Gustave Dax. Making many of the debates about localization available for the first time in English, Fearful Asymmetry provides a detailed account of one critical scientific success and the long history behind it. Purchase Fearful Asymmetry on Amazon Canada or through McGill-Queen’s University Press.